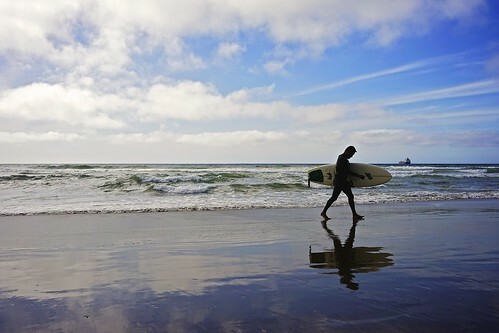 Beach areas of Los Angeles are a real paradise for the fans of the ocean, surfing and freedom. We offer you a guide to the most popular beaches of LA. 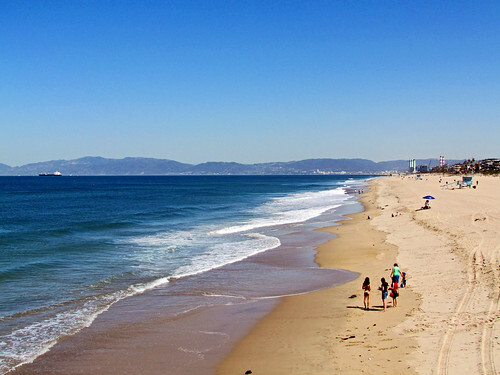 Cheeky Venice, impressive Santa Monica, luxurious Malibu…you will never be bored on the beaches of Los Angeles! The 4.8-kilometers-long beach is located half an hour drive from the center of Los Angeles, south of Santa Monica. Travelers usually use Ace car rental at LAX Airport in order to reach it, because this is the most convenient transport for getting around LA. What’s more, there’s a spacious parking. The major feature of the beach is the Venice Ocean Front Walk. This is the shelter of fortune-tellers and soothsayers, magicians and acrobats, mimes and jugglers, street musicians and merchants of everything in the world. There are many souvenir shops, snack bars and restaurants. For those who like outdoor activities, the beach provides bike lanes. You can play basketball or volleyball, go rollerblading or enjoy workout on the Muscle Beach. It’s only 50-minutes’ drive from Los Angeles downtown. At the very beginning of Colorado Avenue there’s the famous Santa Monica Pier, where you can ride a bike or play volleyball. Also, this place is famous for Pacific amusement park and the only Ferris wheel in the world that is powered by solar energy. A huge Santa Monica Pier Aquarium is located under the park. The pier is the final point of the famous 66th Highway, which stretches across almost all of America. So, don’t forget to take a memorable photo with the Route 66 sign. 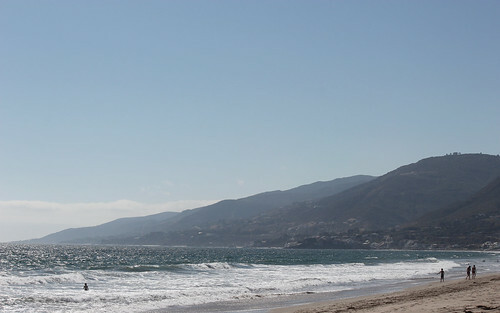 Surfrider Beach occupies a part of the territory of the Santa Monica Mountains National Recreation Area. On the western side of the Malibu Creek peninsula you can watch birds or have a picnic, and on the east side you can go fishing from the pier, buy a souvenir or have lunch at a local restaurant. The beach itself is divided into two parts: the first of them is suitable for swimming and recreation on the coast, while the second one is good for water sports. As the name implies, this beach is just ideal for surfing, and the place provides beautiful landscapes. Thus, grab a camera to take several lovely photos. 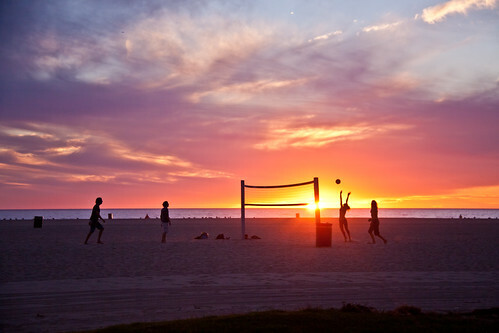 Hermosa Beach is known for a large number of volleyball courts – there are about 70 of them on the territory! Various sports competitions, film festivals and musical events regularly take place there. 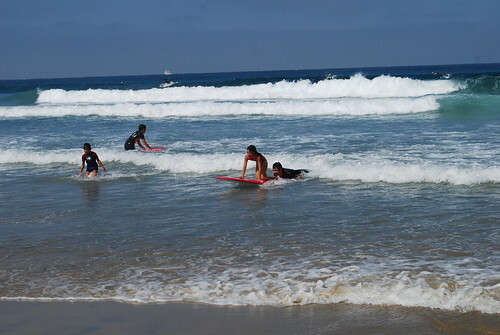 Hermosa is great for sunbathing, playing volleyball, surfing, shuffle boarding, and diving. You can rent a bicycle or a surfboard, visit the local shops on the waterfront or stroll along the 300-meter pier located nearby. 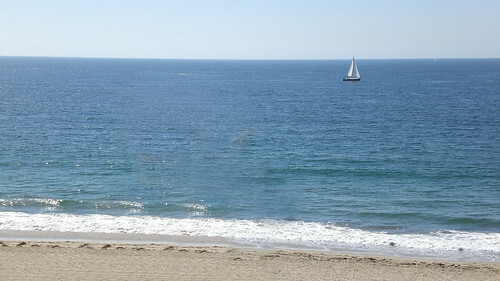 This is one of the largest and most popular beaches in the suburbs of Los Angeles. It’s known for its length, wide sandy coastal area, clear water and excellent surfing opportunities. By the way, several episodes of the “Baywatch” and a lot of commercials were filmed there. The fans of such outdoor activities as surfing and wakeboarding will be able to catch a plenty of waves, since those who like diving can explore the underwater world. If you’re lucky, you can see dolphins not far from the coast, and in the winter – to watch the whale migration. Manhattan Beach is one of the most expensive beach towns in California. It’s interesting by the fact that one of the oldest volleyball tournaments of the country Manhattan Beach Open is held there annually. Ride a bike along the beach or catch a big wave, eat a burger or dine at the restaurant, take a walk along the pier or admire the sea creatures at the local aquarium Roundhouse Marine Studies Lab & Aquarium – Manhattan Beach is a truly versatile place. El Porto is a paradise for surfers. The local underwater canyon creates waves that are higher than those that rage on nearby beaches. Even when the whole Los Angeles coast is calm, you can usually catch a wave in El Porto. Other recreational facilities include volleyball courts and bike lanes.